This entry was posted in FM 104 Triple M, Radio station and tagged Aircheck, Brisbane, Classic rock, Unknown talk break on May 6, 2014 by andrew. This entry was posted in FM 104 Triple M and tagged 1996, Aircheck, Brisbane, how not to announce, no prep, Unidentified on February 5, 2014 by andrew. This entry was posted in Andrews Legends on the Mic, FM 104 Triple M, Personalities, Radio station and tagged 1989, Aircheck, BBQ Bob Gallagher, Brisbane, Classic rock, station idents on September 25, 2013 by andrew. This entry was posted in FM 104 Triple M, Personalities, Radio station, Station promo's on September 21, 2013 by andrew. Just found this, addresses the demo well, doesn’t it? This entry was posted in FM 104 Triple M, Imaging, Radio station and tagged 1995, Brisbane, Classic rock, station idents on May 10, 2013 by andrew. More Classic Rock imaging, forgive me for annoying those who don’t share the same love of Rolling Stones etc etc, McGregor lives this was from 1995 when there was a slight tweak in the format, new billing as ahem, cough, cough “The New Sound ” 104.5 NOT FM 104 sorry to say this but after 2000 (some would argue 1989) the whole FM 104 concept was flushed and today well that is another post I think, those who know me in my mind FM 104 Rock in Stereo still lives on cos’ thats the spirit of Rock n’ Roll! 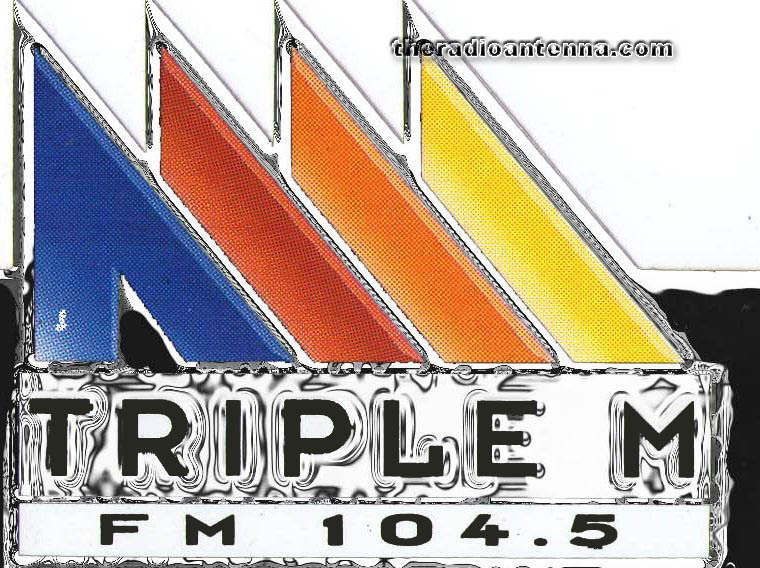 This entry was posted in FM 104 Triple M, Imaging, Radio station and tagged 1995, Brisbane, Classic rock, Ray McGregor, station idents, Sweeper on May 4, 2013 by andrew. Dateline, Rocktober 15 1996, another typical Two for Tuesday featuring some of the best Aussie, Rock n’ Roll Recall to win you cd’s, that semi driver tut,tut, love the way Gregg, highlights the incident by saying Avoid, Avoid, Avoid, there’s even a double from Bad company, ahh yes the Classic Rock was always flowing frequently on FM 104, haven’t heard Twofer Tuesday lately except when my local Star 104.5 started doing Two For Tuesday that was under Ryan Rathbone 2006, Vic Davies, Todd Widdicombe and Kim for Breakfast, Mandy Coolen was Morning jock, Matt McHugh, Kent Small was the Music guru, oops sorry I digress, this aircheck is about Gregg Easton, one of my fellow jocks from as I shamelessly keep touting as FM 104 Rock in Stereo, Australia’s Best Classic Rock Radio station, Are you gonna challenge me on that ? This entry was posted in Andrews Legends on the Mic, Competition calls, FM 104 Triple M, Radio station and tagged 1996, Aircheck, Announcers, Brisbane, Classic rock, FM 104, Gregg Easton, rock jock, Rock n' Roll Recall, Rock patrol, Two For Tuesday on April 24, 2013 by andrew. This entry was posted in FM 104 Triple M, Imaging, Radio station and tagged 1995, Brisbane, Classic rock, station idents on April 20, 2013 by andrew.